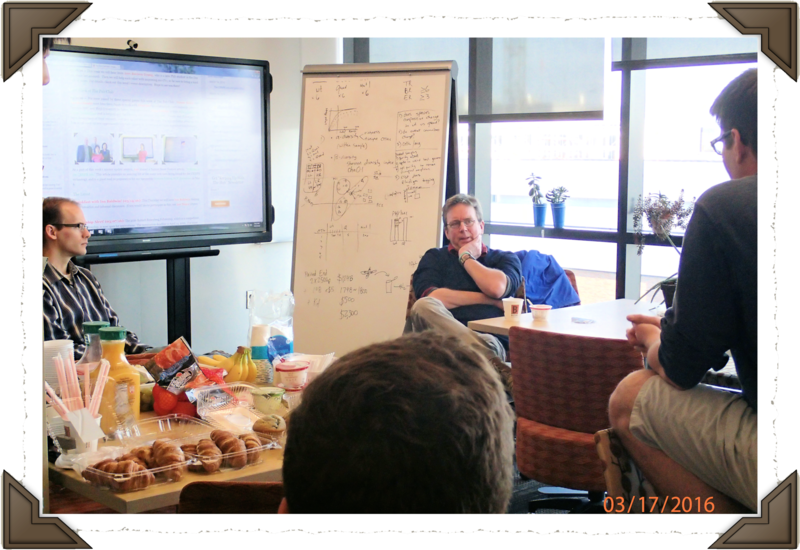 This week The Pub Club had the opportunity to host Ian Baldwin for breakfast. 03/17/16 – Ian Baldwin joins The Pub Club for breakfast. Since we had over 2 hours with him, we had several small groups rotate through. In each group we had the opportunity to hear about some of the many projects on which Ian’s group is working, as well as the chance to practice our communication skills and share our research with Ian. 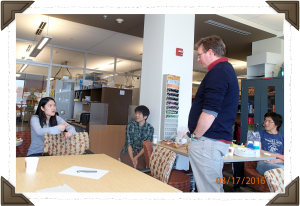 03/17/16 – Xiufang shares her research with Ian Baldwin. The majority of feedback after our breakfast and Ian’s seminar touched on how impressed we were with the depth and breadth of his knowledge. It seemed no matter what the topic of research being discussed, Ian had insight to share with us. 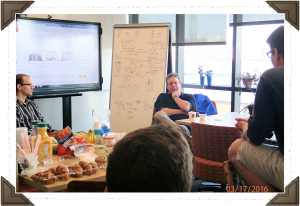 For me personally, I was impressed with and inspired by Ian’s overall approach to science, which he shared at the beginning of his seminar talk and was also reflected throughout our group discussions. Ian’s holistic approach marries the generally divorced perspectives employed by cell molecular and evolutionary ecology scientists to enable a more natural exploration of biology as it occurs in the real world. Ian’s impressive list of scientific contributions provides evidence to support that this approach can be a fruitful one! I hope we were all challenged to incorporate this broader view of biology into our research both now and in our future research efforts. Were you there? Share your experience using the comment boxes below!